As I have blogged about since August, the investigative developments regarding the Egyptian strawberries determined to be the source of 134 cases of Hepatitis A by customers of the Tropical Smoothie Cafe chain in Virginia has involved state and local health departments, the Centers for Disease Control and Prevention (CDC), and the Food and Drug Administration (FDA). According to the FDA traceback information, the frozen strawberries served by Tropical Smoothie were imported from Egypt. On October 30, the International Company for Agricultural Production & Processing (ICAPP) recalled all frozen strawberries imported from Egypt since January 1, 2016. By November 3, the FDA published a listing of five distributors for the strawberries. Since then, only two states (Michigan and California) have notified consumers of the local distributors of those strawberries. Among the distributors in those two states were public schools, hotels, and service clubs. Because of so little notification by state health officials, “The FDA recommends that institutions and food service operations supplied by any of the five companies identified below immediately reach out to their suppliers and determine if they received frozen strawberry product recalled by ICAPP. Reddy Raw of Woodridge, NJ, which sold them under the Regal brand. The Mayo Clinic website includes a comprehensive discussion of Hepatitis A prevention, symptoms, causes, risk factors, treatments and possible complications. I have been blogging about the Hepatitis A outbreak from the Tropical Smoothie Cafe since its initial discovery in August. Regan Zambri Long PLLC has filed multiple lawsuits on behalf of injured people related to this outbreak. Please contact me if you have questions about this litigation. 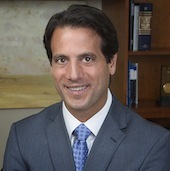 Mr. Zambri is the author of a widely renowned book on product liability litigation. An experienced speaker, he often shares his knowledge regarding personal injury litigation at seminars. In recognition of his many successes, Mr. Zambri has been consistently included in the Super Lawyers® list and has been named among “The Best Lawyers in America” by Best Lawyers (2016 edition).